If you have any questions about the OCEANOS information page below please contact us. The work of the Mondomarine yacht builder in Italy the O'CEANOS is 50 m 164 (foot) in length. Finished and launched for 2006 this boat’s internal styling reflects the stature emanating from the boards of Studio Vafiadis. 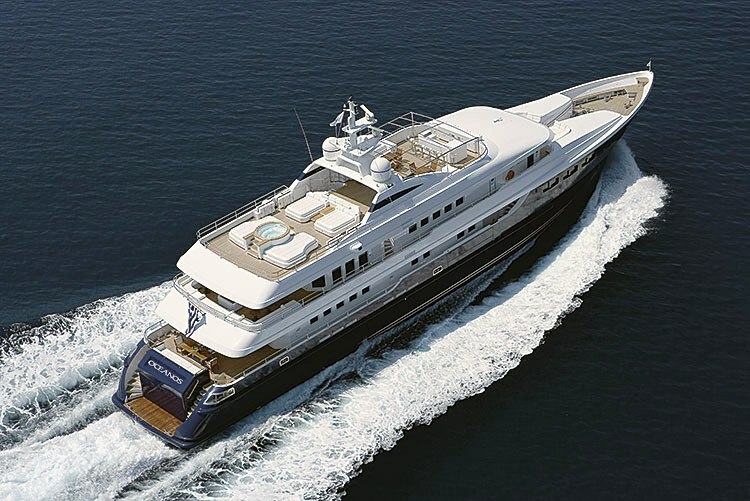 Superyacht O'CEANOS can accommodate up to 12 guests with 9 qualified crew. She will attain a high speed of 18 knots. 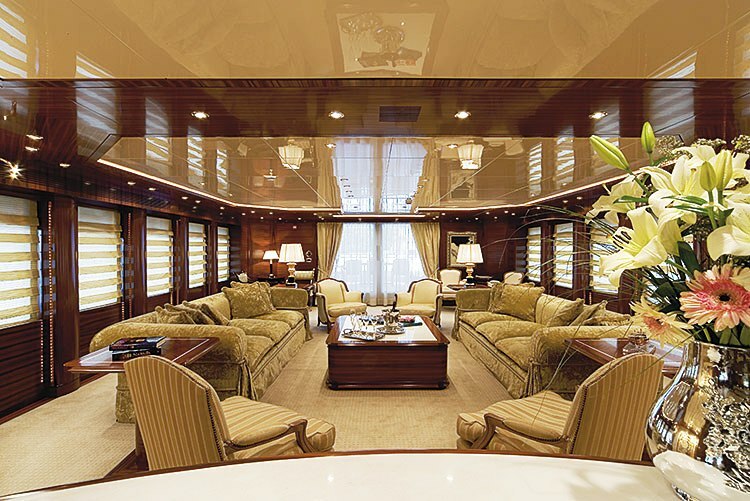 O’CEANOS was delivered to Golden Yachts of Greece in 2006. All their yachts also start with O, namely: O'PARI, O'REA, O'MEGA, O'RION, and O’ASIS. Studio Vafiadis was the naval architect firm involved in the technical vessel plans for O'CEANOS. Also the company Studio Vafiadis expertly collaborated on this venture. Interior designer Studio Vafiadis was selected for the internal internal styling. 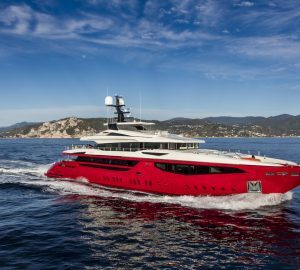 Italy is the country that Mondomarine constructed their new build motor yacht in. After official launch in 2006 in Savona the boat was passed over to the happy owner after final finishing. Her hull was crafted from aluminium. The motor yacht main superstructure is made for the most part with aluminium. With a beam of 8.9 m or 29.2 ft O'CEANOS has fairly large size. She has a fairly shallow draught of 2.3m (7.55ft). The 3512B engine installed in the motor yacht is built by CATERPILLAR. She is driven by twin screw propellers. The engine of the yacht produces 1850 horse power (or 1380 kilowatts). She is fitted with 2 engines. The combined power for the boat is accordingly 3700 HP / 2760 KW. Apportioning chambers for a maximum of 12 welcome guests spending the night, the O'CEANOS accommodates everyone in luxury. Normally the vessel carries approx 9 expert crewmembers to operate. 49.5 metres / 164 feet. 3400 at a speed of 16.5 knots. 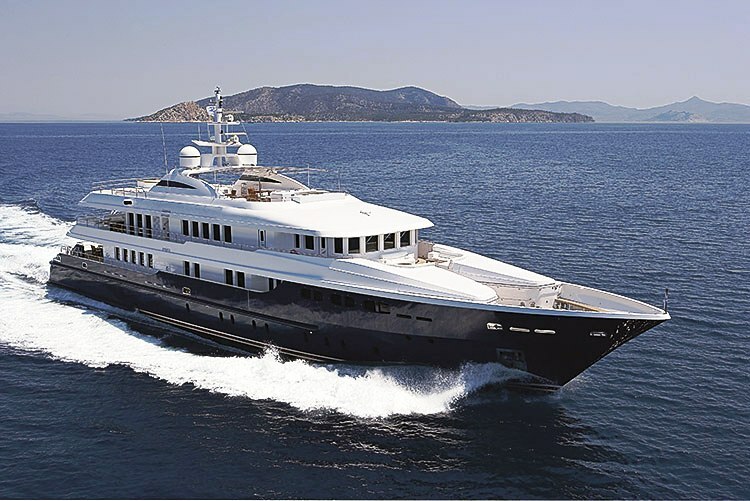 The luxury yacht OCEANOS displayed on this page is merely informational and she is not necessarily available for yacht charter or for sale, nor is she represented or marketed in anyway by CharterWorld. This web page and the superyacht information contained herein is not contractual. All yacht specifications and informations are displayed in good faith but CharterWorld does not warrant or assume any legal liability or responsibility for the current accuracy, completeness, validity, or usefulness of any superyacht information and/or images displayed. All boat information is subject to change without prior notice and may not be current.